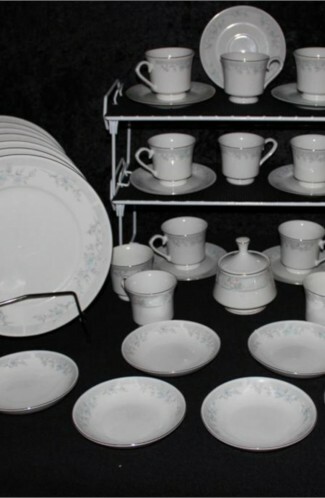 The "Simplicity" Pattern by Fine China of China (see back stamp picture). 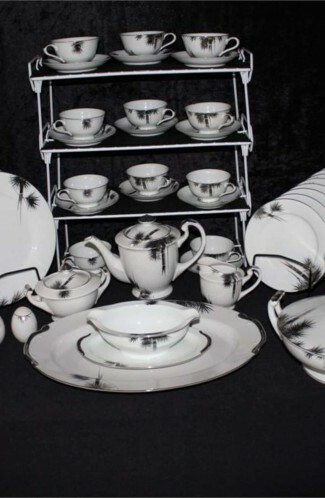 Very Elegant, (understated by it's name) Porcelain Service. 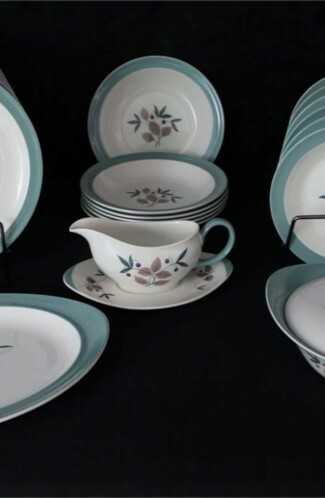 Produced in the 1980's - Set includes a total of (48) Pieces. A Service for (8) eight. White Background has a Platinum Silver Verge and Rim, as well as the Band on the Edge of the Lip. 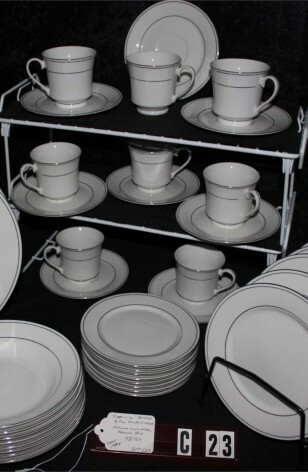 The Plates as well as the Cup Rims & Handles are also trimmed in Beautiful Bright Platinum. 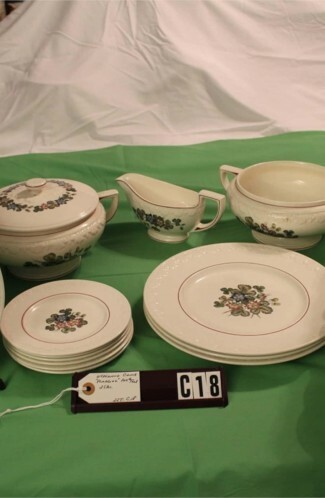 Could also very easily be paired with other White Dinnerware Service as Accessory Pieces. 8 - Saucers - 6"
8 - Bread & Butter Plates - 6 1/2"
8 - Salad Plates - 7 1/2 "